Our foray into discovering Thai entrepreneurs never ceases to amaze us. From innovative cafe owners to passionate bakers, and even baristas making a big difference in their local communities, we have just scratched the surface. Every new story tells us something more about the Thai brand of resilience and patience. Today, we bring a new face into the mix. 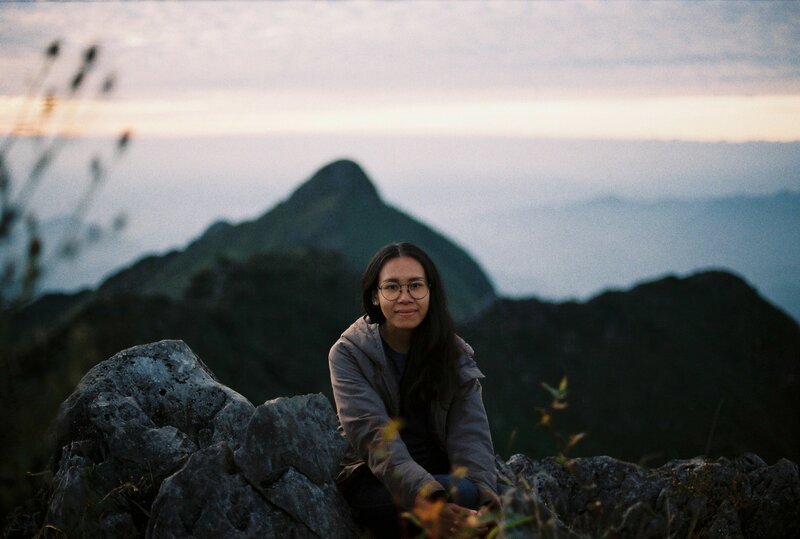 Meet designer Natchalee Kongcharoen, who is the founder and designer of ChanChalee. What is ChanChalee all about? ChanChalee was founded in 2016 as a clothing store. At present, I am a graphic designer by profession. My work on ChanChalee works as a secondary source of income. But it’s my primary source of inspiration in life. I am also inspired by natural fiber fabrics. Most of my design ideas come from just touching the natural fabric and thinking about the kind of embroidery that will look the prettiest on it. It also feels good to adopt a clothing material that has been manufactured in an environmentally conscious way. 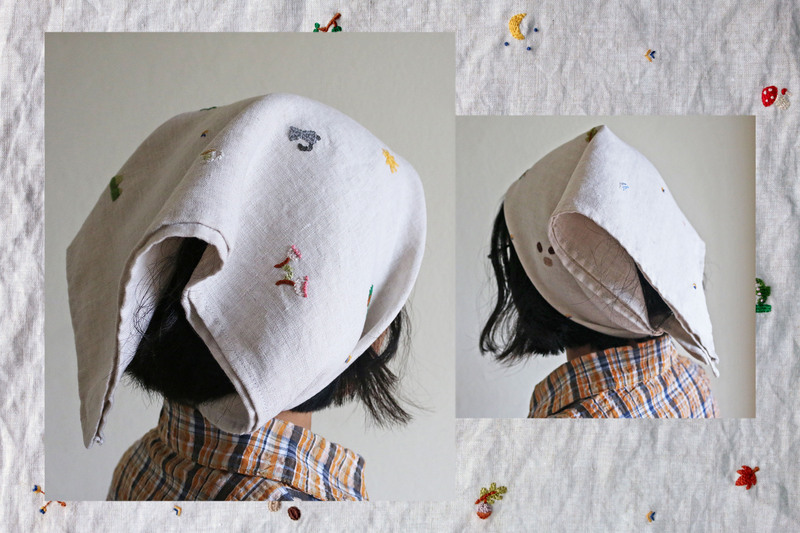 ChanChalee’s concept stemmed from my interest in hand embroidery. I think it is a very charming form of art. How do you manage the required cash flow to keep your business growing? I invest about 300-400 baht (INR 600 to INR 700) per piece as an initial investment. That does not include the effort to bring forth the ideation of the design, my own wages, time put in to complete the work and so on. I am selling the finished designs for about 400-700 baht (INR 750 to INR 1300) per piece. What kind of products/items do you make? 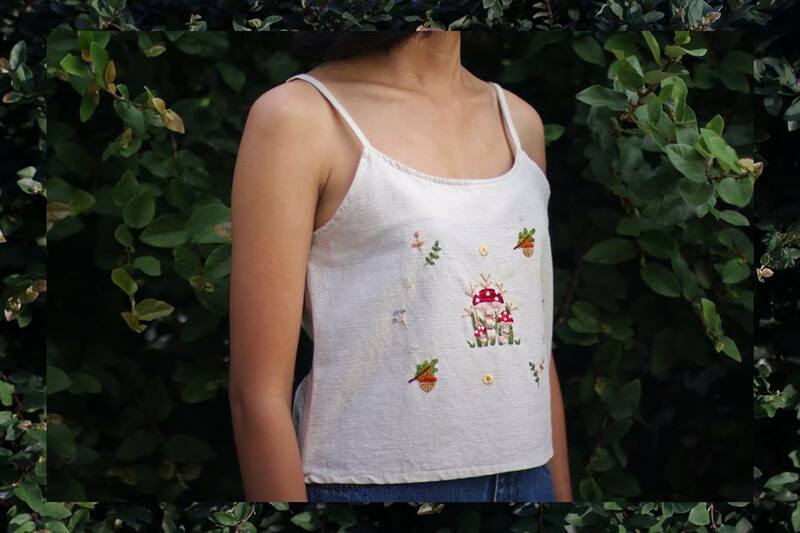 My style is generally tiny hand embroidered motifs on natural fabrics. 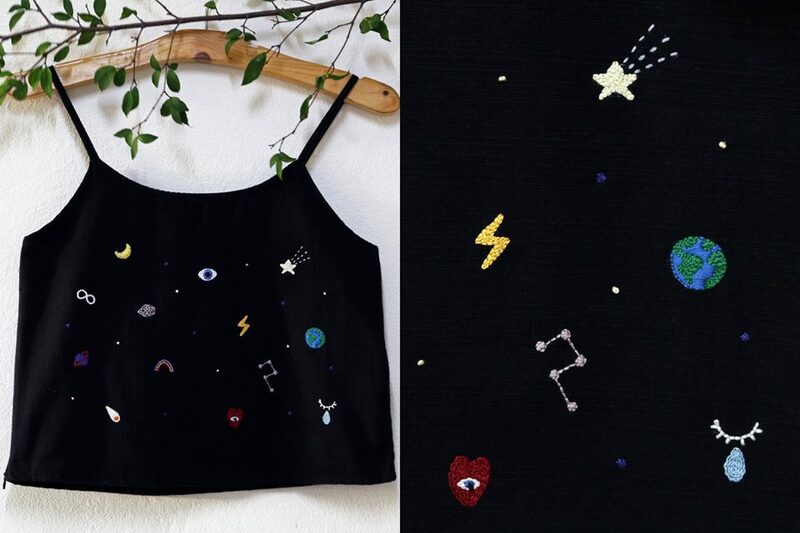 You can see my work on crop tops, head scarves, bags mainly. 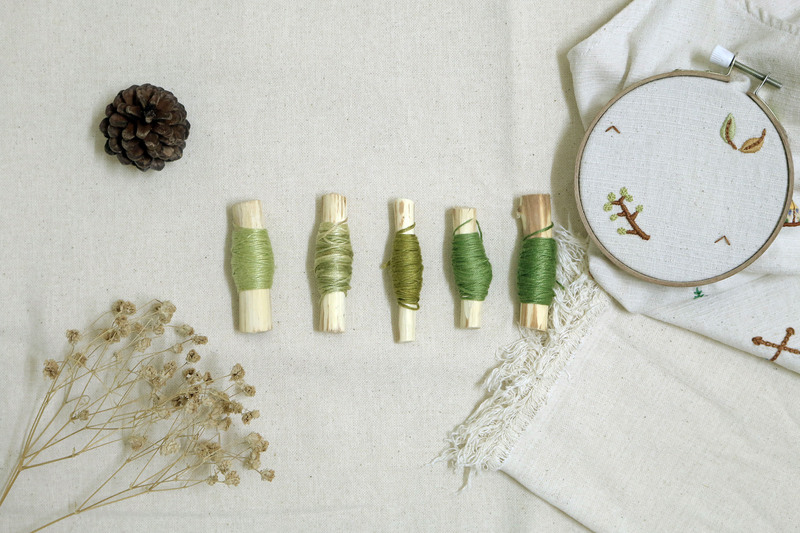 I plan on expanding my craft to other products – especially experimenting with anything that is made of natural fibre. 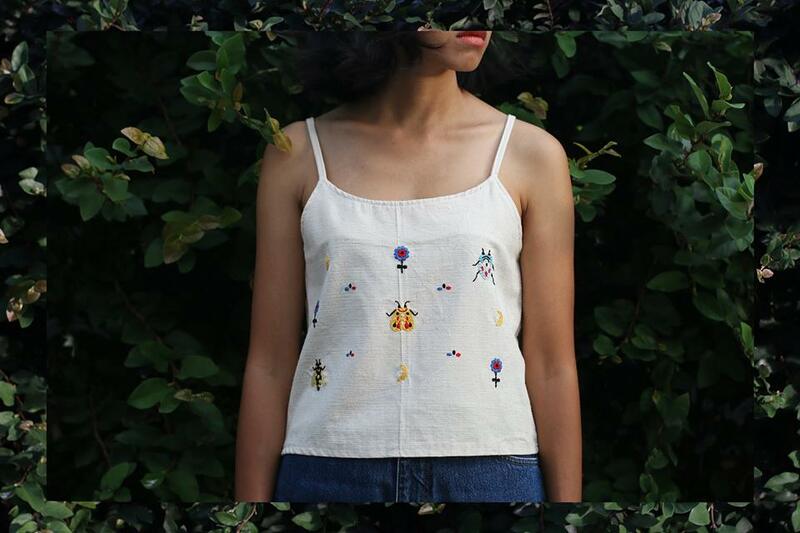 Natchalee brightening up a simple white top with her signature cute colorful hand embroidered motifs. Do you sell to customers outside of Thailand? Do you ship to India? I currently sell my products only in Thailand – majorly through social media.I do plan on selling them around the world in the near future. For now, if anyone is interested in my work, I’d love to them to connect with me on social media. Creator and writer at 'Being Boho'- a personal space for unconventional living. Sharing thoughts, inspirations, DIY's, fashion, lifestyle, beauty and much more. Previous PostRecipe of Machihan | Naga Chutney Made with Bitter Gourd.